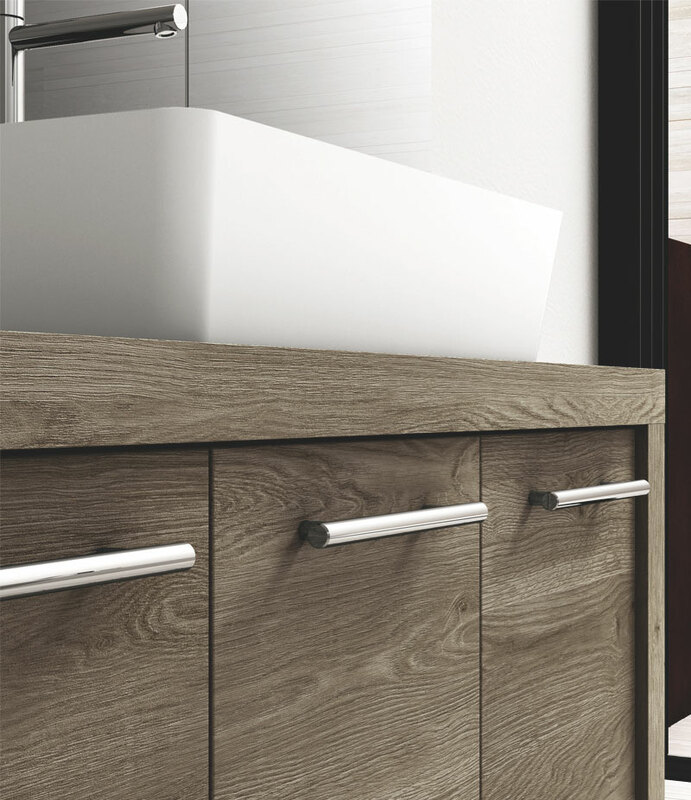 Floorstanding vanity solution, versatile bathroom furniture for projects where wall mounting is not an option. 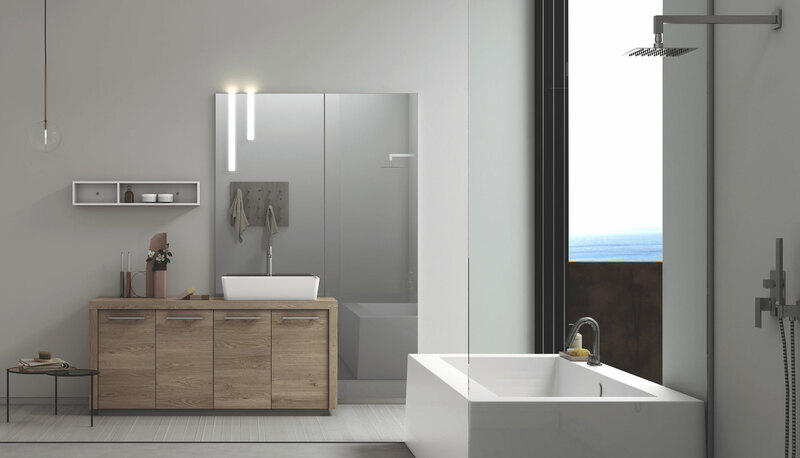 A large full-size mirror sits over and alongside the vanity, creating a simple yet prominent focal point with its linearity and the proportions of its design. The white of the open shelving in a matt lacquered finish and of the Mineralmarmo® countertop basin together liven up the scheme. The top and sides of the vanity have chunky 5cm-thick edges. 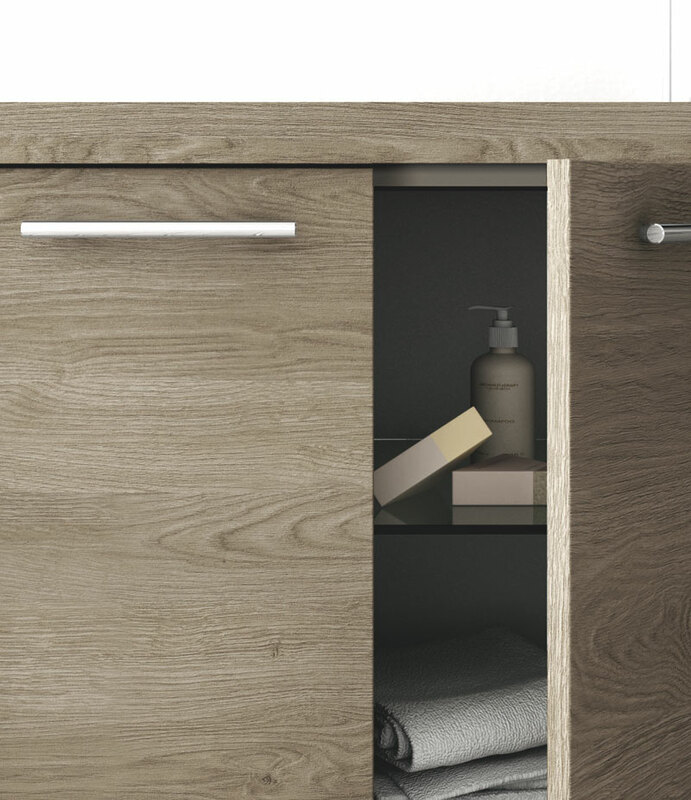 The bridge handle has a cylindrical shape, making it a practical option for opening the vanity, which is fitted with clear glass shelves and finished with highly resistant Pembroke laminate in the latest generation wood effect, whose grain and detailing make it an incredibly close match to the natural material.